Israel is perceived as a start-up nation; in 2016, alone 1,200 hi-tech companies were founded. Israelis have established several global start-up companies such as “mobileye”, “waze”, “gettaxi” and “wework”. There is also an Israeli presence in the field of mobile health and medicine. One of the criticisms within Israeli society is that the wealth created by these companies fails to trickle down, which is evident in that 2.4 million Israelis are considered poor. Nevertheless, in Israel there is a relatively good and largely public health system, which serves both citizens and non-citizens. The term “non-citizens” refers to Palestinians living in East Jerusalem holding the legal status of “permanent residency”. They are eligible for some rights, including medical services, but are not considered citizens of the Israeli state. East Jerusalem, an area of 70sqkm with 66,000 Arab inhabitants, was annexed/occupied by Israel from Jordan immediately after the 67’ war. Today, in East Jerusalem there are 300,000 Palestinians, of which 78% are considered poor, and state welfare services are relatively inactive, Their ‘gray’ status has led to a different situation which includes the creation of private medical services clinics that are financially supported by the state. Last November, I met Mr. Fuad Abu-Hamed, an owner of two semi-private clinics in Beit Safafa and Sur Baher, two Palestinians neighborhoods/villages located in East Jerusalem. These clinics are linked to a major state public clinic, and have managed to provide better services, for example access to doctors without queues. 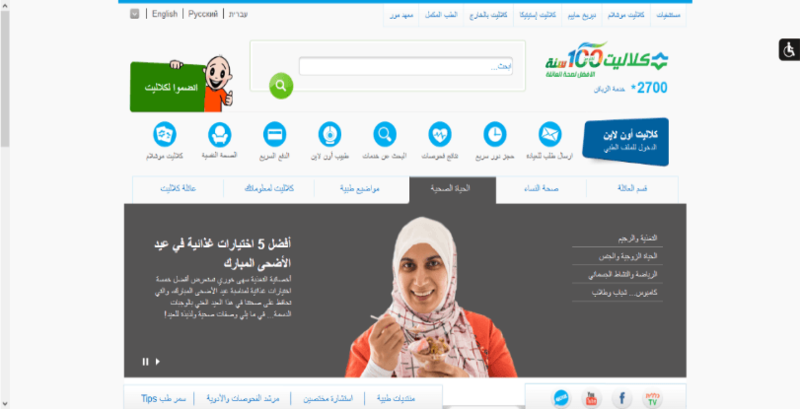 They also have improved their online services including a website and an app in Arabic. When I asked Mr Fuad if his 9,000 clients use the Clalit app, he replied “so-so, people here are not use to being online when it comes to health matters.” He then asked an intern, a young nutritionist, who graduated from Bir Zeit University in the West Bank, if she knew any popular health apps. She mentioned several apps in the field of fitness, wellbeing and diabetes. Mr. Fuad confirmed that diabetes is a serious condition within the Arab population. I am therefore expecting to include diabetes and associated digital applications in my research, but first, I need to know a good deal more about the general condition of health amongst the Palestinians of East Jerusalem; the way they access health services, and how this relates to their ambiguous status. I wonder, if perhaps eventually the ASSA project might encourage a startup that focuses upon this and other disadvantaged populations?